I took this photograph along the banks of the Little Zigzag stream in northern Oregon. 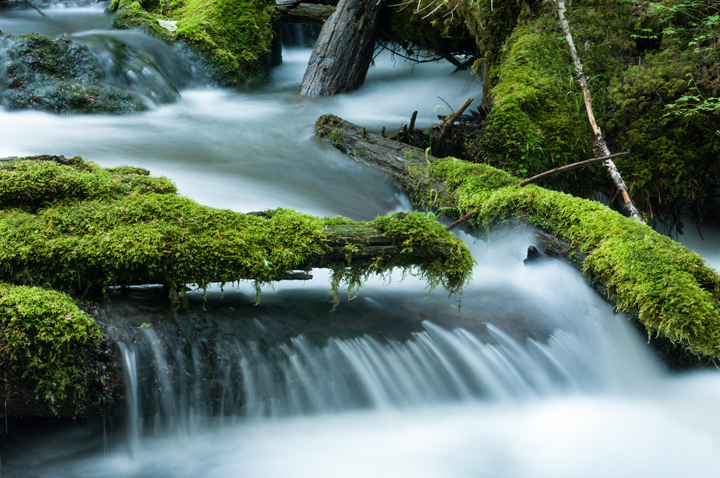 The stream is fed by snow melt from nearby Mount Hood, and it runs through the bottom of a lush canyon. It is a beautiful green, quiet place.